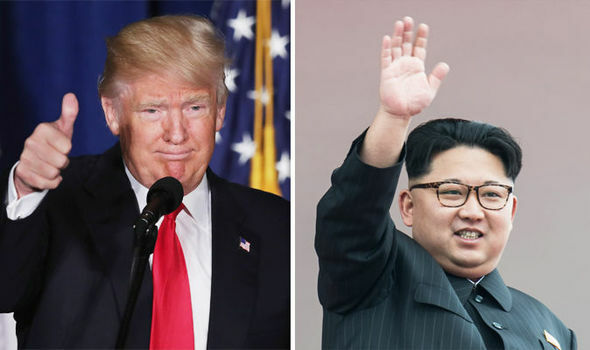 President Donald Trump announced Monday the U.S. is putting North Korea’s “murderous regime” on America’s terrorism blacklist, despite questions about Pyongyang’s support for international attacks beyond the assassination of its leader’s half brother in February. Trump said the designation of North Korea as a state sponsor of terrorism was long overdue, and he promised a new wave of sanctions as part of a “maximum pressure campaign” over the North’s development of nuclear weapons that could soon pose a direct threat to the U.S. mainland. The primary impact of the designation may be to compound North Korea’s growing international isolation as it is already subject to an array of tough U.S. sanctions restricting trade, foreign assistance, defense sales and exports of sensitive technology. The step is likely to further sour relations between Washington and Pyongyang that have turned uglier with name-calling between Trump and Kim Jong Un. There is strong bipartisan support for the move in Congress, which had passed legislation in August requiring the State Department to make a determination on putting North Korea back on the list. “In addition to threatening the world by nuclear devastation, North Korea has repeatedly supported acts of international terrorism, including assassinations on foreign soil,” Trump said as he announced the designation at a Cabinet meeting at the White House.? However, the action had been debated for months inside the administration, with some officials at the State Department arguing that North Korea did not meet the legal standard to be relisted as a state sponsor of terrorism. However, lawyers said there had to be more than one incident, and there was disagreement over whether the treatment of American student Otto Warmbier, who died of injuries suffered in North Korean custody, constituted terrorism. Neither Trump nor the State Department specified Monday which acts of terrorism and assassination the North had supported. In making the announcement, Trump did refer to Warmbier “and the countless others so brutally affected” by North Korean oppression. North Korea was on the terrorism blacklist for two decades after the 1987 bombing of a South Korean airliner killed 115 people. It was also accused of a 1983 bombing assassination?attempt against?then-South Korean president Chun Doo-hwan in Myanmar. The president survived, but 21 others were killed. The North has not been publicly implicated in a terror attack of that scale since.